Have you ever wondered why it seems as if we never have enough? Have you ever felt like your resources were insufficient? Why does it look like our wants, desires, and sometimes needs are not met? I too find myself wrestling with these questions. In fact recently I’ve been struggling with the concept of provision. 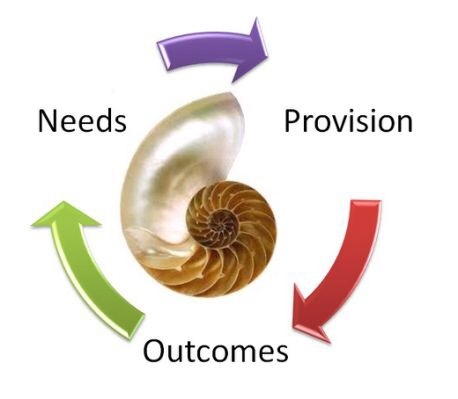 I was reminded that the reason why I felt like my needs were going unmet was that my focus had been on the provision and not the Provider. In our world today, it’s easy for us to focus our attention on the provision. It’s what we’ve been taught from an early age. It’s basic economics. Supply and demand. Cash is king. Money makes the world go round. Money makes everything flow. That’s why it’s called currency. The problem with this type of thinking is that it puts too much weight on the supply and not the source. See we limit ourselves to only money to satisfy our needs when we focus on that as our supply. What happens when the money runs out? We put too much security in our job when we make that our supply for our needs. What happens if we lose that job? When we focus on the source and not the supply, our need will be met. We limit God’s riches when we focus on money as our supply. We limit God’s riches when we rely on our job to meet our needs. Why limit God’s riches to flow through only one avenue?